Fairway is a unique supermarket which in addition to its rustic layout also boasts a picnic area with a gorgeous view of New York harbor. Aviator is multi activity complex which includes an ice- skating rink, wall climbing, indoor bungee jump and more, besides for the ice skating most of the activities are family oriented. 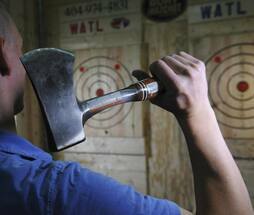 This is a very fun activity, where you learn the sport of axe throwing. You will most likely be placed in a group with other random people, and split into teams and they will try to get you to befriend each other. Sessions are for 1.5 hours, and reservations are required. You can save a bit by purchasing from Groupon, especially if there's a promo. Should cost around $75 for two without a promo code. 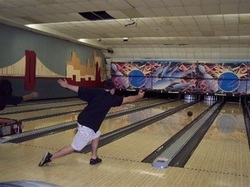 ​*Groupon is valid only at the Brooklyn location. 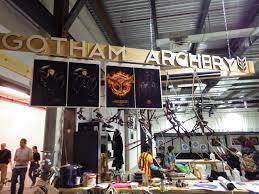 ​Alternatively, try Kick Axe Throwing in Gowanus. I know your looking at this list of "Fun Things" and you are wondering what on Earth is Ikea doing here? So I'll tell you when I first started dating I got bored of doing lounges; for the first date I still went to lounges but for the second date I needed a change. So I asked around yeshiva and someone suggested Ikea to me, saying he went there a number of times on dates. To me it sounded a little strange but I'm always open to new ideas so I tried it out and I used Ikea many times since then. Ikea is set up like a trail with arrows along the floor guiding you from section to section. It is a series of completely set up "rooms" like living rooms and dining rooms with couches you can sit on (if it is that type of room; in a dining room there are no couches of course). Depending on your type it can take between 45 minutes to a little more then 1 hour to got through an Ikea store. Afterwards depending on the location (and the time you get there because they close at 9) you can either sit in their cafeteria section or go to a lounge somewhere else.